Aaron Brooks was selected 26th overall in the 2007 NBA Draft by the Houston Rockets. He won the NBA Most Improved Player Award for the 2009–10 season. 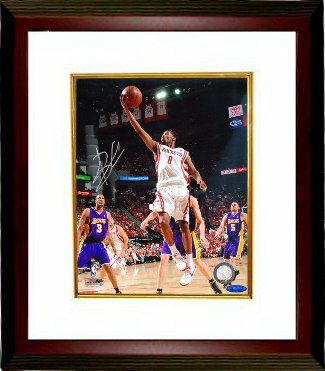 Aaron Brooks has hand signed this Houston Rockets 8x10 Photo. Tri-Star Hologram and Certificate of Authenticity from Athlon Sports. Custom White Mat and Premium Mahogany Color Framed as shown.